What is a Nova cube, and why does it exist? Cosmic cubes are some of the best cubes in existence, and each one has a ton of time and effort put into it. 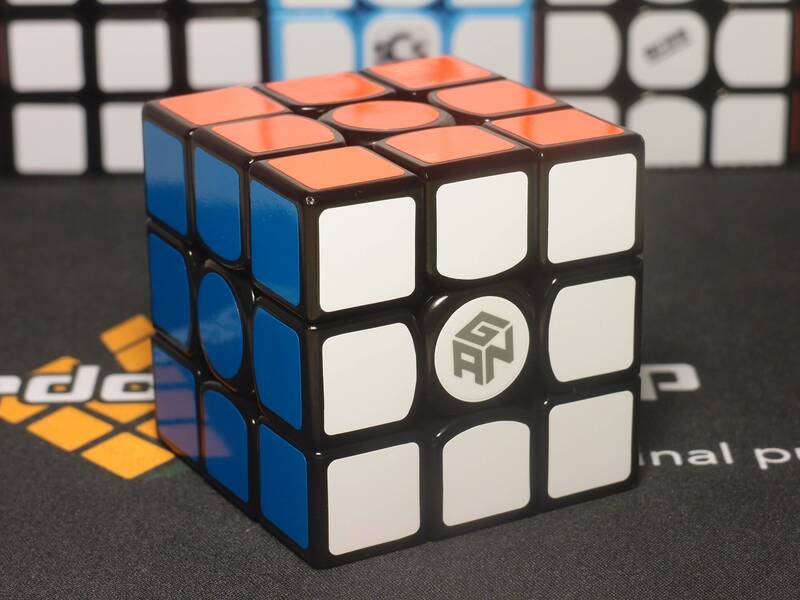 They all even come with a free 6-month warranty, as well as a personal signed guarantee from the maker of that cube. 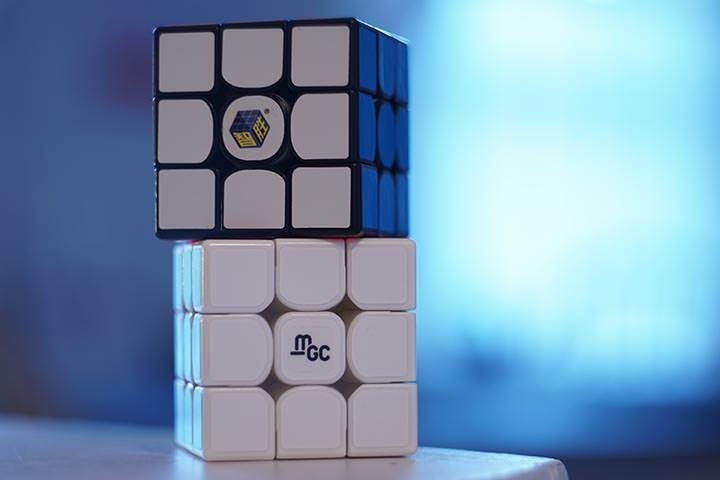 Unfortunately, all that effort and labor is costly, and as a result Cosmic cubes can be out of the budget of many cubers. Nova is an attempt to bring the same, high-quality custom setup service down to a much more affordable price. In fact, many of the non-magnetic Nova cubes are just $3 more than their standard retail cube. They have a simplified setup process and take less labor to produce, but the quality and perfect tuning of each cube isn't compromised. What goes into a Nova cube? 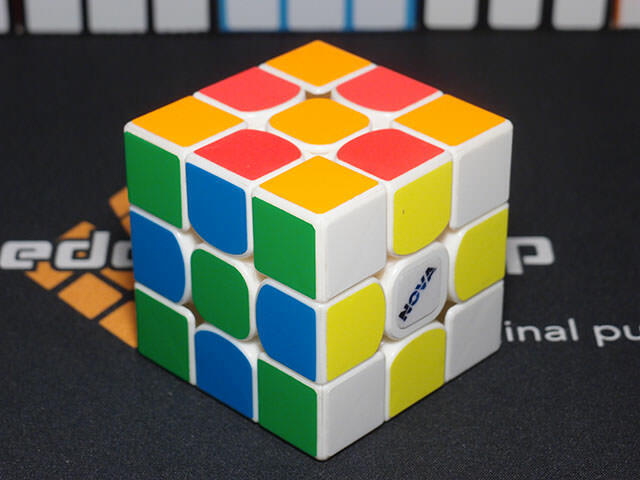 Nova cubes are still fully set up right out of the box, and have a full custom cube's process behind them. Tensions are evened and set to an optimal state, the core and pieces are lubed, and you have the option to replace the stock stickers with higher-grade SCS stickers (or not, to save some money). It's important to note that the lubing process isn't just mindlessly dripping whatever lube is on hand into a cube as I sometimes do, it's an optimized process using exactly the lube and the amount SCS has found to be optimal. The magnetic Nova cubes still have their magnets carefully hand-placed, and their polarities checked. What separates the Cosmic and Nova lines? To be honest, I don't know the specifics. Cosmic cubes are tuned to be absolutely perfect, and from what I know that process takes a long, long time. I still don't know anything about that process and have never been able to replicate it at home. Nova cubes are still tuned to be exceedingly good, but as far as I know it takes far less time and labor so the price can be brought down. I got my hands on a Nova Valk and a Cosmic version of the same to compare. The externals are...um...more or less the same. I got both of them in white with a full fitted full bright sticker set, and honestly if not for the logos I wouldn't be able to tell them apart. The Nova still has SCS's flawless sticker application they've always done with the Cosmics. Getting into turning then. Cosmics, as you may know, come out of the box quite gummy, and after a few solves speed up into a very fast but somehow still very controllable cube. Nova gave quite a different impression. Out of the box, the Valk already felt nice and fast, and rather pleasant to use as well. There was an interesting texture to the turning that resembled sandiness, or maybe just soft plastic, but it was a great feeling and I'm relieved that it hasn't disappeared yet after 400 solves. Now that I'm a good bit into the cube, I can say that it's also a very fast cube, and just lacks a bit of the controllability my Cosmic has. That being said, it's still very stable and far more controllable than I could hope for if I tried to speed up a Valk to the same speed. It still has a bit of that softness compared to the Cosmic's glossy feel, and one of the best things about it is that each turn feels very consistent - in other words, the friction doesn't ramp up as it nears the cube state and drop back down towards 45 degrees, as Valks will sometimes do. The faster turning out of the box means it was lubed with less lube at SCS, which also likely means it won't last as long. This is one of the bigger tradeoffs that you'll be getting from stepping down from Cosmic, but even so I doubt the setup will wear away short of a couple thousand or tens of thousands of solves. Both cubes full cut, of course, but corner cutting is just a bit - almost imperceptibly - easier on the Cosmic. So, still an excellent cube then. Despite the reduced price, it's still tuned exceptionally well and feels great to use. It gets close to the level of a Cosmic, and that's not an easy task. Or more specifically, get one if Cosmics are out of your budget. In the end, Cosmics are still the ultimate, no-compromise cubes and perform in a way that reflects their price. 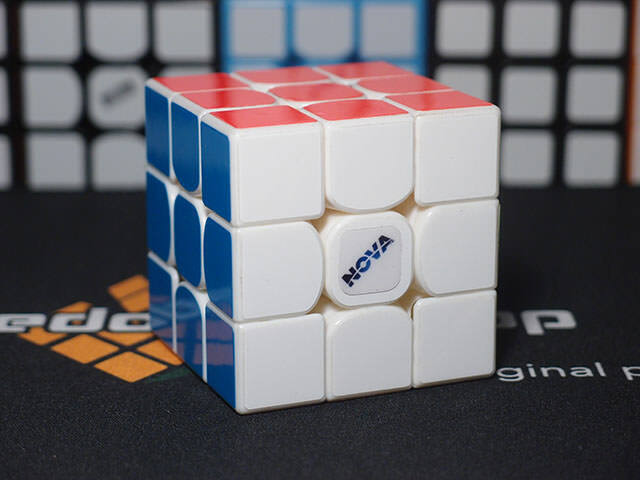 Nova cubes are just a small step down from Cosmics, but their price brings that quality to just about anyone. For just typically $3 more than the base cube, or $13 more for SCS's full hand-magnetization service, you can't go much wrong with a Nova. I wanted to ask, which lube do they put on the pieces when you buy a supernova cube? Do they also lube the core or just the pieces? 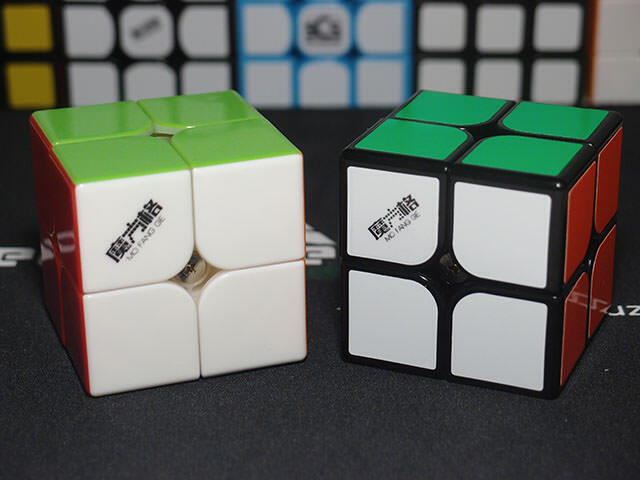 I want to get a Supernove MF3RS2 but the postage for me is too high, $10, (I’m from the UK). I might get even though the postage is too high. Or I might get a non-supernova cube and make it how I like but I am very inexperience that the stickering and lubing. So, I’m thinking is it worth it?